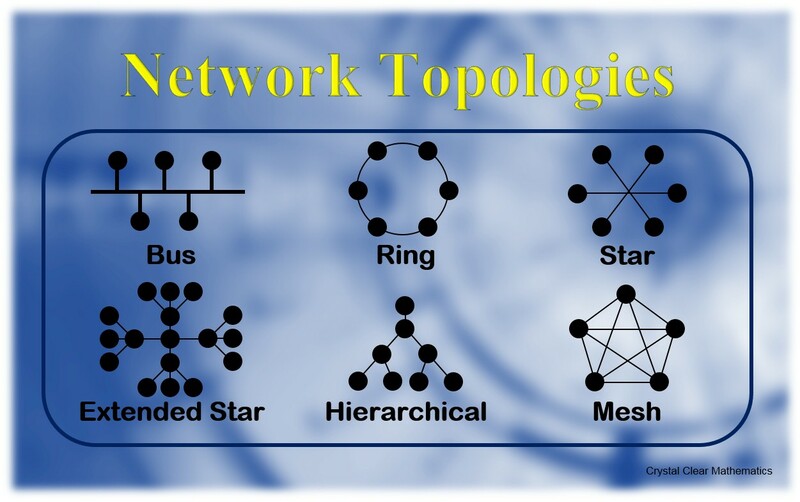 Topology (from the Greek τόπος – topos meaning place, and λόγος – logos meaning word/study) is the mathematical study of connectedness and relationships. It results from asking a simple question, “What geometric properties are preserved even though a shape may be deformed (twisted and stretched, but not torn)?” As you can imagine, it is not concerned with angles and lengths of lines so much as whether points remain connected, and how many points can be connected to each other (without lines crossing) and whether certain shapes or solids can be transformed into others. Once principles have been established, such enquiries can be made of higher dimensions. For all that it sounds etherial and abstract, it has produced some amazing results, some of which have been immensely practical. For example, in 1858, two German mathematicians August Ferdinand Möbius and Johann Benedict Listing independently investigated a rather curious object. It was simply a ring of paper with one twist in it (as shown). It is known today as a Möbius strip. Simply by twisting the paper, these mathematicians were challenging what we know by the terms edge and side. It transpires that this remarkable little object only has one edge (so does a circular sheet of paper!) BUT it only has one side! I encourage you to make one and colour one side, without going over an edge. Big industries today use this knowledge in the design of their conveyor belts. In earlier days, belts used to wear out on one side and then the company had to go to the expense of stopping production while the belt was removed, inverted and replaced. Once the second side had been worn out, the belt would be replaced. 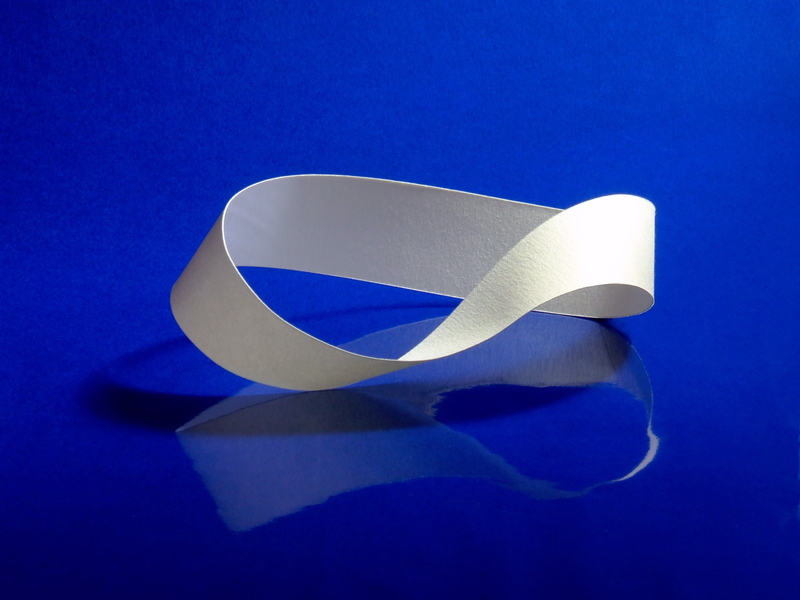 Today, belts are designed as Möbius strips! In this way ‘both’ sides (actually the one side) of the belt are worn down at the same time and the only time the belt has to be removed is when it needs replacing. This simple geometry has saved companies a lot of money. Before you read anything that I have added below, let me encourage you to construct a Möbius strip and cut it in half lengthwise. I hope you experience some of the delight and amazement that I experienced and, no doubt, Möbius and Listing experienced when they were the first to discover this enchanting object. Much of early topology grew from Graph Theory, first developed by Leonard Euler (1707-1783) when he studied the Königsberg Bridge Problem in 1736 and the Polyhedron Formula in 1750. Knot Theory has applications, for example, when biologists study enzymes. This is because enzymes cut, twist and reconnect DNA, causing knotting. Topological data analysis has been used in computer science and, in the realm of physics, topology has been used in quantum field theory and in cosmology. Also, in the discipline of robotics, topology has been used in planning the motion of a robot’s joints (or other parts) into particular desired configurations.